We've seen the Motorola Droid RAZR in white, black and purple. Our friends over at Android Central have gotten there hands on some leaked documents. 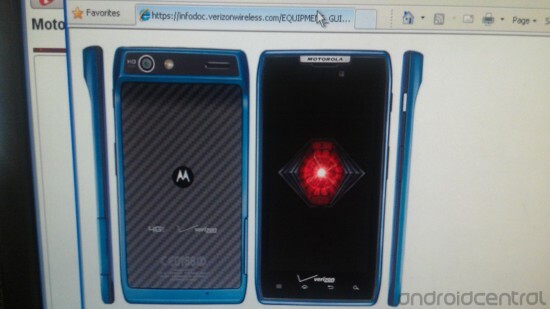 It looks like Verizon's got a blue version joining the ranks as well. According to the inventory screens they've received, it's slated for release on May 18. It's the same as Droid RAZR first reviewed back in November and that means it's also running Gingerbread. No word on pricing yet, remember that none of this is official until Verizon says it is.